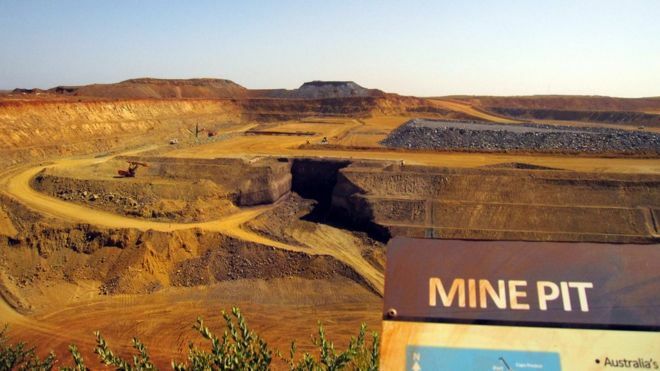 Shares in Australian mining companies have fallen after the government forecasted a dramatic decline in iron ore prices. The government forecast an iron ore price of $46.70 a tonne by 2018, almost half the current level of $80. The current price is supported by resurgent demand from China. But the Department of Industry, Innovation and Science said that demand was unlikely to continue over the coming years. The department also lowered its forecast for iron ore exports by 2% to 832.2 million tonnes for the fiscal year 2016-17. Australia is the world’s biggest supplier of iron ore and shares in the country’s main mining companies fell after the report was released. Hardest hit was Fortescue Metals which fell more than 3% in early trade, while commodity giants BHP Billiton and Rio Tinto also saw their shares prices drop. In its forecast early last year, the department had predicted an iron ore price of $44.10 per tonne, but an increase in Chinese demand spurred the price to above $80.